The bluebells are excelling themselves in my garden and I was happy to post something on the Woodland Trust Website as they were trying to find out how many native bluebells there are as a lot of bluebells are Spanish ones. Ours are native ones so I hope it will help with their survey. The weather today is about 10 degrees cooler than last Saturday but it has still been a lovely sunny day and I have got all my washing dried, ironed and put away. It is so lovely to get washing out in the air to dry. Thanks for all your kind comments and Favs this Easter weekend and for getting a couple of my finch shots on PP yesterday. It is very much appreciated. It is not long now until I go to Chicago with my friend Pam Knowler @pamknowler and it will be nice to meet up with Taffy and friends there. Just over a week to go! I'm getting excited now. Rosie yes saw that on TV this morning so... I think they said turned back petals mean native ? This is stunning Rosie! I am hoping to see some bluebells but only seen the odd little patch. Getting really excited now! This is so strange being in Devon at the moment - home on Thursday then panic packing for Sunday! Chicago here we come! Fav for your gorgeous shot! Beautiful shot. How exciting for you and Pam to be able to catch up with Taffy again. 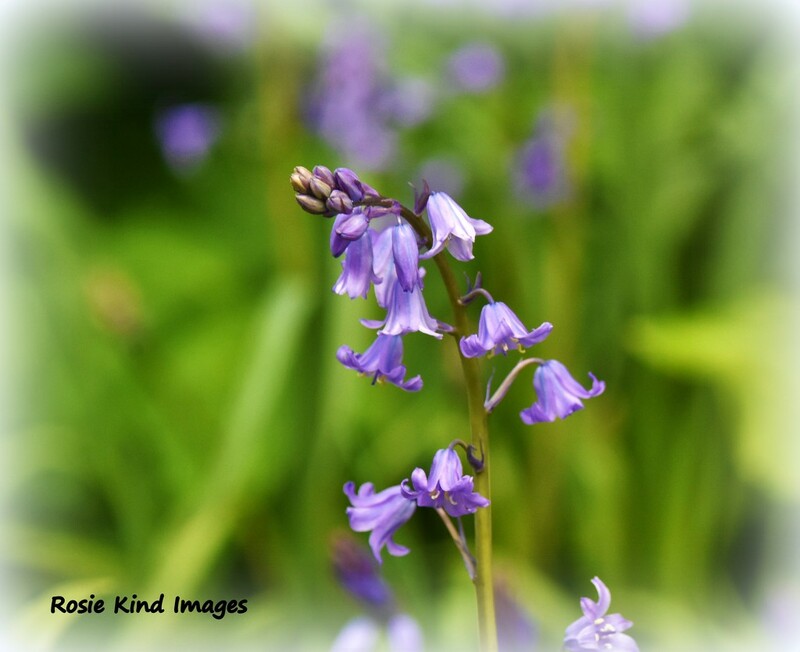 I so much prefer the native bluebells like these. So pretty. Lovely capture from your garden.